Cargill reports revenues of $114.695 billion and earnings of $3.103 billion in 2018. Employing over 155,000 employees in 66 countries, it is responsible for 25% of all United States grain exports. The company also supplies about 22% of the US domestic meat market, importing more product from Argentina than any other company, and is the largest poultry producer in Thailand. All the eggs used in US McDonald's restaurants pass through Cargill's plants. It is the only US producer of Alberger process salt, which is used in the fast-food and prepared food industries. Cargill remains a family-owned business, as the descendants of the founder (from the Cargill and MacMillan families) own over 90% of it. As a result, most of its growth has been due to reinvestment of the company's own earnings rather than public financing. Gregory R. Page succeeded former CEO Warren Staley in mid-2007, as Staley reached Cargill's mandatory retirement age of 65, and was CEO and chairman until 2013, when he in turn was succeeded by Dave MacLennan. The Cargill Lake Office, occupying the former Rufus Rand mansion on the main corporate campus in Minnetonka, houses the company's top executives. One of the biggest criticisms of the company has been its perceived arrogance (see, for example, Brewster Kneen in the Ecologist and also Greg Muttitt in the same journal). The MacMillans' aggressive management style led to a decades-long feud with the Chicago Board of Trade. It began in 1934, when the Board denied membership to Cargill. The US government overturned the Board's ruling and forced it to accept Cargill as a member. The 1936 corn crop failed and with the 1937 crop unavailable until October, the Chicago Board of Trade ordered Cargill to sell some of its corn. Cargill refused to comply. The US Commodity Exchange Authority and Chicago Board of Trade accused Cargill of trying to corner the corn market. In 1938, the Chicago Board suspended Cargill and three of its officers from the trading floor. When the Board lifted its suspension a few years later, Cargill refused to rejoin, instead trading through independent traders. In 1962, Cargill did rejoin the Chicago Board of Trade, two years after the death of John MacMillan, Jr. During World War II, MacMillan, Jr., continued to expand the company, which boomed as it stored and transported grain and built ships for the United States Navy. In 1960, Erwin Kelm became the first non-family chief executive. Aiming for expansion into downstream production, he led the company into milling, starches and syrups. As the company grew, it developed a market intelligence network as it coordinated its commodities trading, processing, freight, shipping and futures businesses. In the decades before email, the company relied on its own telex-based system for internal communication. When the Soviet Union entered the grain markets in the 1970s, demand grew to unprecedented levels, and Cargill benefitted. When Whitney MacMillan, nephew of John, Jr., took over the company from Kelm in 1976, revenue approached $30 billion. US government put pressure on big grain exporters with allegations of manipulating the market, and Cargill was a major target, but it emerged without any major changes. In 1979, Cargill entered the meat-processing business with the purchase of beef processor MBPXL (later Excel). The division expanded into turkey, food service and food distribution businesses and is now known as Cargill Meat Solutions. In 1986 Cargill started operations in Venezuela through a partnership with the Possenti family's Mimesa C.A. to form Agroindustrial Mimesa in Maracaibo, dedicated to the manufacturing of flour and pasta. Expansion followed thereafter. Tensions arose with the company's private shareholders, as Cargill typically put 80% of earnings back into the business. By the early 1990s, members of the Cargill and MacMillan families became upset that their shares in the company were yielding mediocre dividends. Demands rose for an initial public offering to turn the company public. The company responded with an employee stock ownership plan, and in 1993 reportedly purchased 17% of the firm for $730 million from 72 Cargills and MacMillans. It used that stake to begin the employee stock plan. The company's board of directors was reorganized to reduce the number of relatives to six, alongside six independents and five managers. Ernest Micek took over as chief executive in August 1995. Cargill underwent turmoil in the following years; its financial unit lost hundreds of millions of dollars in 1998 when Russia defaulted on debt and developing countries began to have financial issues. The commodities and ingredients business, which was 75% of Cargill's total revenue, suffered from the 1997 Asian Financial Crisis. Revenues fell by double-digit percentages for two years in a row, from $55.7 billion in 1997 to $51.4 billion in 1998 and $45.7 billion in 1999, while net income fell from $814 million in 1997 to $468 million in 1998 and $220 million in 1999. By 1999, the company had $4 billion in debt. After a reduction in previously strong bond credit rating, Micek announced he would step down a year early. Warren Staley became chief executive and continued expanding the company and it rebounded. By 2002, Cargill had over $50 billion in annual sales, twice the amount of its closest rival, Archer Daniels Midland, and had 97,000 employees running more than 1,000 production sites and out of 59 countries. On June 1, 2007, Staley was succeeded by Gregory R. Page. Page was succeeded by current CEO and chairman Dave MacLennan in December 2013. Cargill's quarterly profits exceeded $1 billion for the first time during the quarter ending on February 29, 2008 ($1.03 billion); the 86% rise was credited to global food shortages and the expanding biofuels industry that, in turn, caused a rise in demand for Cargill's core areas of agricultural commodities and technology. In October 2011, the U.S. Justice Department announced that a biotech specialist at Cargill had pleaded guilty to stealing information from Cargill and Dow AgroSciences. Kexue Huang, a Chinese national, was discovered to be passing trade secrets back to China. In November 2011, Cargill completed the acquisition of Provimi, a global animal nutrition company for €1.5 billion ($2.1 billion US). 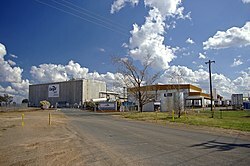 On April 1, 2012, Cargill completed a purchase of a cat and dog food plant in Emporia, Kansas. It was previously owned by American Nutrition. In December 2014, Cargill finished commissioning a $100 million Indonesian cocoa plant. In 2015, Cargill wound down its Black River Asset Management division by shutting down four hedge funds, folding two agriculture and energy funds into Cargill, and spinning off three fund businesses to employees to create the hedge fund Proterra Investment Partners, emerging markets debt specialist Argentem Creek Partners and private equity firm Garda Capital Partners. In 2016, Cargill announced that it would move its Protein Group headquarters from older buildings in downtown Wichita, Kansas, and consolidate into a new building in Wichita's nearby Old Town area. The new $60 million building will be built on the site of the building that formerly housed The Wichita Eagle, following the old building's demolition. As of 2016[update], Cargill operates in 70 countries across six regions around the world. Cargill started doing business in Pakistan in 1984. Cargill Pakistan Holdings was incorporated on January 25, 1990. In the 1980s, Cargill sold hybrid safflower seeds extensively in Pakistan. Today, Cargill imports palm oil and palm oil products from Malaysia and Indonesia into Pakistan, selling them in the local market. It also buys raw cotton bales from producers in Pakistan and sells them to China, Thailand and Vietnam. Cargill also deals in animal feed, agriculture commodities, cotton, grain and oilseeds, metals, palm and sugar business in Pakistan. In January 2019, Cargill announced a $200 million investment to grow business in Pakistan. Argentina, Bolivia, Brazil, Chile, Colombia, Costa Rica, Dominican Republic, Ecuador, Guatemala, Honduras, Nicaragua, Paraguay, Peru, Uruguay, Venezuela. The company purchased the large Leslie Salt refining company in Newark, California from Schilling in 1978. Cargill sells salt under the Diamond Crystal brand. As of August 2018, the company is in the process of selling its Ontario crop input facilities. Cargill Meat Solutions acquired Milwaukee Emmpak in 2003 and merged it with Taylor Packing Co. (purchased in 2001). In 2006, Cargill Meat purchased Fresno Meats. The three main brands of beef are Circle T Beef, Valley Tradition, and Meadowland Farms. From 2009 to 2014, Cargill was the chief shirt sponsor of Hereford United F.C., a fourth-tier English football team. Cargill is also a sponsor of NASCAR driver Ricky Stenhouse, Jr.
As a private company, Cargill is not required to release the same amount of information as a publicly traded company and, as a business practice, keeps a relatively low profile. The company was praised by Colorado State University professor of animal science Temple Grandin for allowing The Oprah Winfrey Show to film the inside of a beef slaughter plant in Colorado. Cargill was a major buyer of cotton in Uzbekistan, despite the industry prevalence of uncompensated workers and possible human rights abuses, and admissions made by two representatives that the company is aware of the possible use of child labor in the production of its crops. Their concerns have been public since 2005, but no action has been taken regarding labor violations in their Uzbek operations. The company has not traded any Uzbek cotton in several years. In February 2018, several employees of Cargill's Dayton, Virginia plant held protests. Their grievances included poor health benefits, bad working conditions, and Cargill's allegedly firing employees who organized to create a union. The protests led to nine people's arrest for trespassing on company property. In 1971, Cargill sold 63,000 tons of seed treated with a methylmercury-based fungicide that eventually caused a minimum of 650 deaths when it was eaten. The fumigated seed grain was provided by Cargill at the specific request of Saddam Hussein and was never intended for direct human or animal consumption prior to planting. Cargill's grain—which was dyed red and labeled with warnings in Spanish and English as well as a skull and crossbones design following a previous incident of mercury-treated seed being sold as food in Iraqi markets in 1960—was distributed too late for much of the 1971 planting season, causing many farmers to sell their excess product in the public markets at very low prices; this attracted many poor Iraqis who either could not understand the warnings or disregarded them, causing thousands of cases of mercury poisoning. The long latency period before developing symptoms and cattle's greater tolerance of mercury poisoning also contributed to the mistaken impression the surplus seed grain was safe to eat. In October 2007, Cargill announced the recall of nearly 850,000 frozen beef patties produced at its packing plant in Butler, Wisconsin that were suspected of being contaminated with E. coli. The beef was sold mainly at Walmart and Sam's Club stores. In March 2009, the Australian Quarantine and Inspection Service (AQIS) temporarily suspended Cargill Australia's license to export meat to Japan and the US after E. coli was detected in Cargill's export containers from its Wagga Wagga plant. In late April 2009, AQIS lifted Cargill Australia's suspension on its export license. In September 2011, Cargill announced a second, immediate and voluntary Class One recall of 185,000 pounds of 85% lean, fresh-ground turkey products because of possible contamination from Salmonella Heidelberg. The turkey was produced at the company's Springdale, Arkansas, facility on August 23, 24, 30, and 31. In July 2012, the Vermont Department of Public Health said that 10 people in the state had become sick from ground beef being recalled by Cargill Beef. The 10 became sick between June 6 and June 26. Three were hospitalized, and all recovered, according to health officials. Hannaford Supermarkets alerted consumers that Cargill Beef was voluntarily recalling 29,339 pounds of ground beef that might contain salmonella. The 85%-lean ground beef was produced at Cargill's plant in Wyalusing, Pennsylvania, on May 25, 2012, and repackaged for sale to consumers by customers of the Kansas-based company. In 2003, Cargill completed a port for processing soya in Santarém in the Amazon region of Brazil, dramatically increasing soya production in the area and, according to Greenpeace, speeding up deforestation of local rain forest. In February 2006, the federal courts in Brazil gave Cargill six months to complete an environmental assessment (EA). 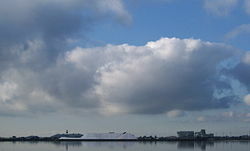 Initially supported by job-seeking locals, public opinion turned against the port as jobs have not appeared. In July 2006, the federal prosecutor indicated they were close to shutting down the port. Greenpeace took its campaign to major food retailers and quickly won agreement from McDonald's along with UK-retailers Asda, Waitrose, and Marks & Spencer to stop buying meat raised on Amazonian soya. These retailers have, in turn, put pressure on Cargill, Archer Daniels Midland, Bunge, André Maggi Group, and Dreyfus to prove their soya was not grown on recently deforested land in the Amazon. In July 2006, Cargill reportedly joined other soy businesses in Brazil in a two-year moratorium on the purchase of soybeans from newly deforested land. Cargill sells large volumes of palm oil, which is found in many processed foods, cosmetics and detergents. Most palm oil is obtained from plantations in Sumatra and Borneo, which have been heavily deforested to make way for them. On September 13, 2017 NGO Mighty Earth released a report documenting findings that Cargill purchases cocoa grown illegally in national parks and other protected forests in the Ivory Coast. The report accused Cargill of endangering the forest habitats of chimpanzees, elephants and other wildlife populations by purchasing cocoa linked to deforestation. As a result of cocoa production, 7 of the 23 Ivorian protected areas have been almost entirely converted to cocoa. Cargill was notified of the findings of Mighty Earth’s investigation and did not deny that the company sourced its cocoa from protected areas in the Ivory Coast. In 2005, the company settled with the Department of Justice and Environmental Protection Agency over Clean Air Act violations, including a plan to invest over $60 million in capital improvements for clean air controls, after a joint federal and state effort that included Alabama, Georgia, Indiana, Illinois, Iowa, Missouri, Nebraska, North Carolina, North Dakota and Ohio. In 2006, NatureWorks, a subsidiary in Nebraska, settled with the state over inadequate air pollution controls. In 2015, Cargill settled with the EPA over Clean Air Act violations in a plant in Iowa. ^ Bakir F, Damluji SF, Amin-Zaki L, et al. (July 1973). "Methylmercury poisoning in Iraq" (PDF). Science. 181 (4096): 230–41. doi:10.1126/science.181.4096.230. PMID 4719063. Retrieved 11 June 2010.